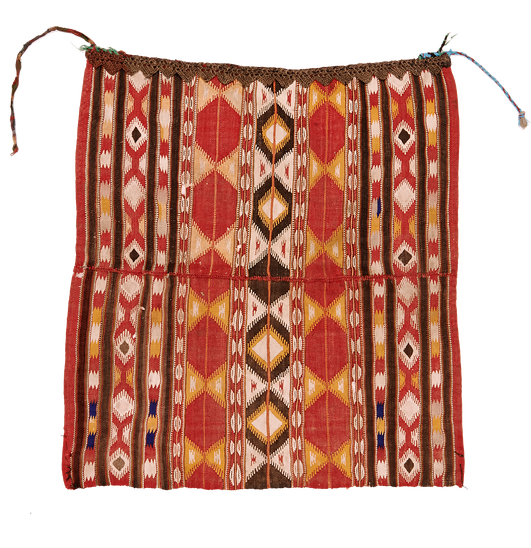 Old apron, part of the traditional costume. Very fine flatweave, two panels sewn together with a brown crochet ending. Very decorative with a real ethnic character. Could be converted into two pillows, for example.